HICKORY, N.C.--(BUSINESS WIRE)--Achieving 1 Gigabit per second speed is a benchmark for the next generation of wireless networks, which CommScope is helping enable with advanced base station antenna technology. 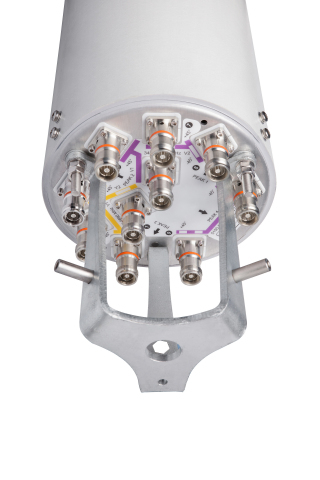 CommScope is offering new antenna models that support 4xMIMO (4T4R multiple input/multiple output), advanced modulation and carrier aggregation of unlicensed frequency bands. The combination of multiple data streams and additional spectrum will help wireless operators reach Gigabit LTE speeds on the road to 5G. 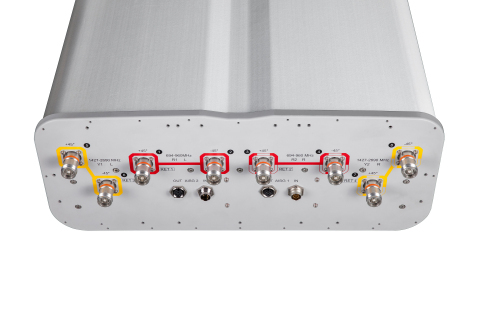 CommScope introduced a 4xMIMO, ultra-wideband antenna for the 1400 MHz–2700 MHz range in late 2017, and has released an extensive antenna portfolio for FirstNet operating in the 700 MHz band. The company continues to add antennas to its portfolio that support different frequency band combinations in 4-, 8- and 12-port configurations, with 4xMIMO support on both low and high bands. CommScope also offers a high gain, small cell antenna with 4xMIMO functionality in the 1.7–2.7 GHz and 3.5 GHz bands, plus 2x2 MIMO support in the 5 GHz band. With this antenna, operators can use carrier aggregation for License Assisted Access (LAA) to combine unlicensed bands with licensed bands to reach gigabit speeds at small cell sites. This antenna will also help operators be ready for Citizens Broadband Radio Service (CBRS). Sector splitting, narrowbeam antennas and LTE-Advanced interference mitigation techniques are also part of the Gigabit LTE toolkit, said Zimmerman. Antennas are also evolving to support multi-user MIMO and massive MIMO with eight or more data streams. CommScope will display its latest antenna technology at Mobile World Congress 2018 in Hall 2, stand 2J30. CommScope is offering new antenna models that support 4xMIMO, advanced modulation and carrier aggregation of unlicensed frequency bands.